Richard R. “Trey” Hicks, III is a native Texan who was born in San Antonio. He grew up in San Antonio and Lubbock, Texas. After high school, Trey attended and graduated from Texas A&M University with a BA in 1993. After A&M, he attended law school at the Cumberland School of Law at Samford University. Trey returned to Texas to take the bar and was admitted to the State Bar of Texas in 1996. 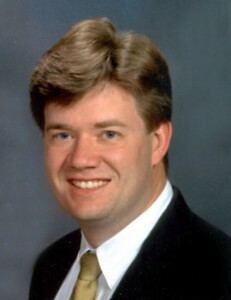 Trey initially began his law career at the law firm of Soules & Wallace in San Antonio, where he worked on civil matters such as contracts, wills and estates, and consumer law. Shortly thereafter, he became an assistant district attorney for the Caldwell County Criminal District Attorney’s Office located in Lockhart, Texas. While there, he rose to become First Assistant District Attorney trying jury trials ranging from the Justice of the Peace Courts to high level felony prosecutions in District Court. In 2003, Trey accepted an offer to become Chief Trial Attorney for the 25th Judicial District Attorney’s Office. The 25th Judicial District Attorney’s Office prosecuted felonies and juveniles in Guadalupe County (the cities of Seguin, Schertz, Cibilo, Marion and parts of New Braunfels), Gonzales County (the cities of Gonzales, Waelder, Nixon and Smiley) and Lavaca County (cities of Halletsville, Shiner and Moulton.) As Chief Trial Attorney, he was responsible for all jury trials and subsequent appeals in the 3 counties he served. In November 2006, Trey was elected to the office of Caldwell County Criminal District Attorney. In 2010, he ran unopposed for another 4 year term as District Attorney in Caldwell County. As the elected District Attorney, he supervised an office of 6 assistant district attorneys and their supporting legal staff. His office was responsible for all criminal matters in the county and handled the majority of the civil work for the county’s Commissioner’s Court. During his career as a prosecutor, Trey has been involved in close to 200 jury trials, mostly as the first chair prosecutor. He has handled over 30 homicide cases including capital murders. In 2004 he first-chaired 3 murder trials in a 6 month period. 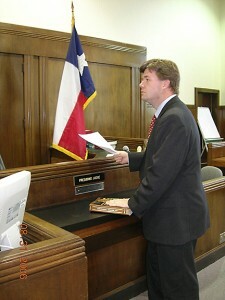 He has also written numerous State briefs and argued in front of several of Texas’ appellant courts. Trey is known as an aggressive litigant who knows the law as well as how to present a case to a jury panel to get the winning result. Trey resides in Luling, Texas with his wife Karla, and their daughters, Abby and Evelyn, 2 dogs and 3 cats. He enjoys gardening, golfing, cooking, watching football, coaching his daughter’s basketball team and reading when he is away from the office.